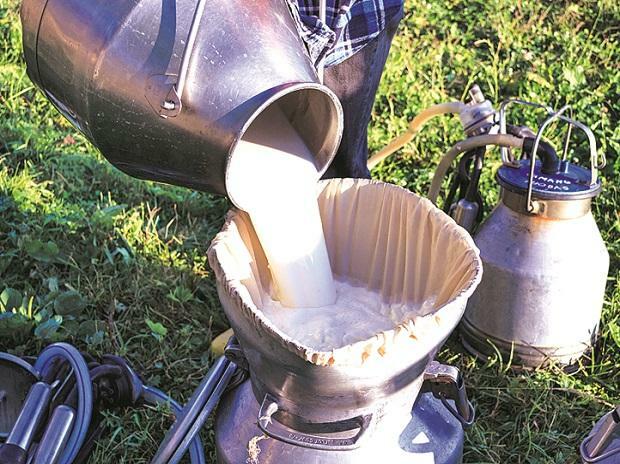 Dairy companies are planning to raise milk prices by Rs 2-4 a litre by the end of this month, pointing to a rise in cost of production, rising demand and depleting inventory on reduced supply from Maharashtra, Tamil Nadu and Gujarat. Prices of milk and derivatives such as cheese, butter, curd and skimmed milk powder (SMP) were subdued for two years, on a supply surplus. August 2018 had seen a fall in their prices. However, the price of SMP, for instance, has risen from Rs 125 a kg in that month to a current Rs 200-210 a kg. Ghee, cheese and butter have moved proportionately up, without a price increase in milk. “Milk's real prices had fallen sharply. Farmers were realising less than their cost of production, resulting in a halt of fresh investment in animal husbandry. So, milk production got impacted, resulting in lower supply this season. With onset of the wedding season, demand is bound to increase. Hence, we will see how demand pans out before any price increase. But, prices would certainly go up this season,” said R S Sodhi, managing director (MD) at Gujarat Cooperative Milk Marketing Federation (GCMMF), producer of the Amul brand of dairy products (the country's largest). Both dry and wet fodder prices have risen by up to 20 per cent over the past four months. Ghee's price increase has taken it up to Rs 310-325 a kg and butter to Rs 235 a kg. Buffalo milk prices have risen by up by Rs 7 a litre, to Rs 39 a litre for farmers; cow milk has gone up by Rs 3 to Rs 28 a litre (from Rs 21 a litre last August); the Maharashtra government had since ordered that the minimum sale price be Rs 25 a litre. “Animal husbandry in Maharashtra has become difficult due to lower water availability, following drought in nearly half the state’s villages. Consequently, milk supply has been impacted. We cannot forecast a date but prices would certainly go up, latest by the first week of February,” said Amitabha Ray, the MD at Schreiber Dynamix Dairies. The government of Maharashtra is also offering a Rs 5 a litre incentive to dairy companies until January for producing export-oriented milk derivatives. Apart from that, the Centre has offered a 20 per cent export subsidy for milk derivatives, including SMP. However, global prices of SMP, cheese and butter are subdued. "Milk prices would rise next season, with reduced supply and lower investment in animal husbandry over the past two years,” said Devendra Shah, chairman, Parag Milk Foods, producer of the Gowardhan brand of milk and its derivatives. The governments of Tamil Nadu and Karnataka are also offering a production subsidy to milk farmers. Traditionally, supply gradually improves with the onset of winter in September and reduces with the onset of warm weather in March.